These little beauties contain LSA, a combination of linseed (flaxseed), sunflower seed and almond, which is made into a ground meal. 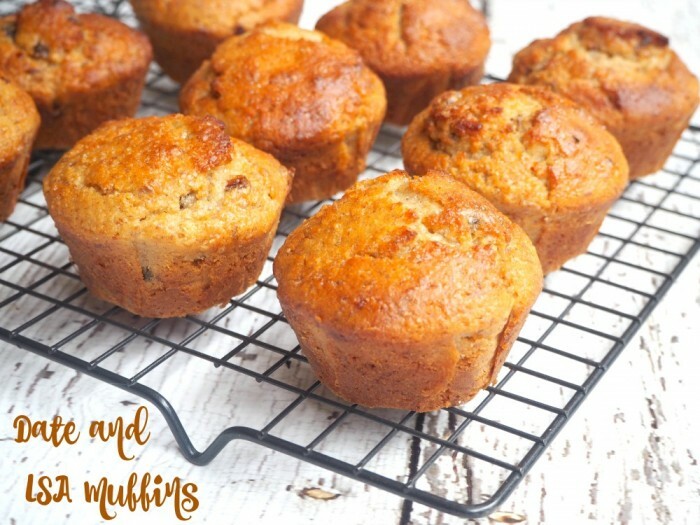 It’s packed with fibre and protein, so eating one of these more-ish muffins will get your day off to a great start! And now I’ve converted the recipe to the Thermomix too! Preheat oven to 200 C/180 C fan-forced. Place the flour, baking powder and sugar in a large bowl and mix to combine. In a separate bowl, mix the honey, egg, buttermilk, oil, vanilla and honey until combined. Pour the wet mixture into the dry ingredients and mix. Don’t over mix. 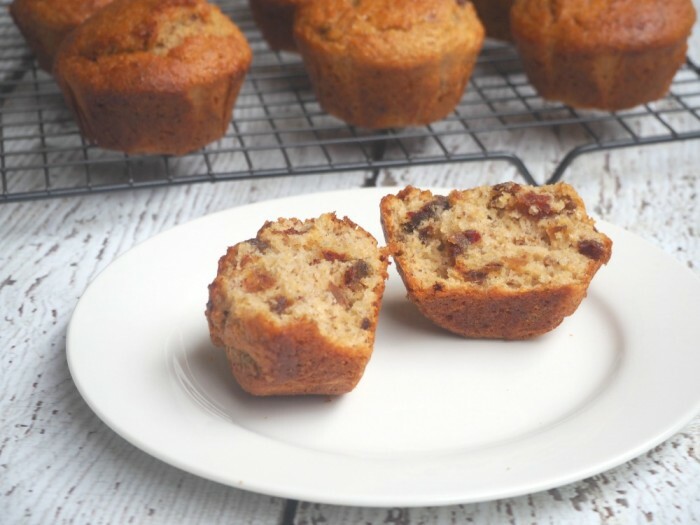 Remember a lumpy mixture makes the best muffins. Gently stir through the dates and LSA. Use an ice cream scoop to spoon the mixture into muffin cases. Sprinkle with a little raw sugar. Bake for 5 minutes and then turn the oven down to 180C / 160C fan-forced and cook for another 20-25 minutes or until cooked. When the muffins are tested with a skewer, it should come out clean. Place the flour, baking powder and sugar in TM bowl and mix for 5 seconds on speed 4. Set aside. Add dates to TM bowl and set dial to closed lid position. Pulse on Turbo 2 or 3 times until dates are chopped. Set aside with flour mixture. Now add honey, egg, buttermilk, oil, vanilla and honey and mix for 5 seconds on speed 5. Add the flour mixture and the LSA, set the dial to closed lid position and mix for 10-20 seconds on interval speed until just combined. TIP! 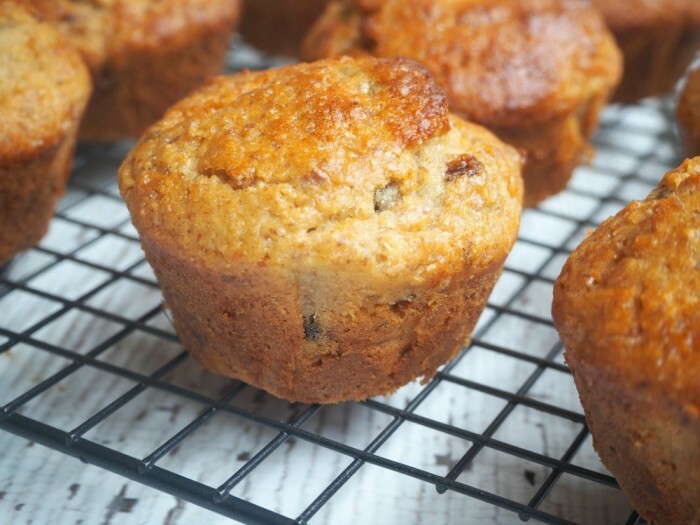 The muffins will freeze for up to a month.